Grey Matter Art is proud to present, a new limited edition screen print for the classic 1973 American supernatural horror film, “The Exorcist” by the very talented artist, Sara Deck. GMA is pleased to release this in collaboration with Bottleneck Gallery. 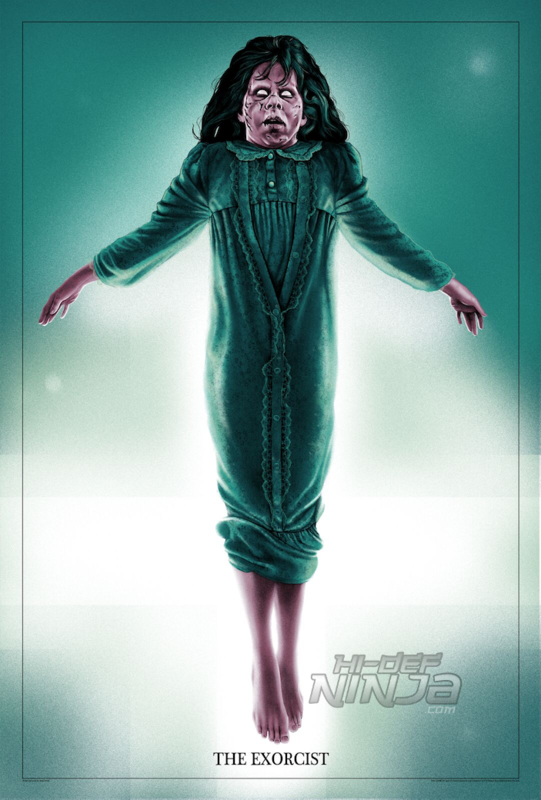 Sara’s style lends itself so well to these classic horror films, and this poster is a perfect example, showcasing Linda Blair’s character, Regan MacNeil in her most demonic form. Below are details regarding the poster and release information. This will be released on January 22nd, 2019 at the Grey Matter Art’s website. Below are details regarding the poster and release information. Also, follow Grey Matter Art on Facebook and Instagram, and sign up for their website newsletter for all future news and information.